Ramsey is a brown unicorn lion with a white muzzle and white belly. He has large, glittery gold button eyes and a tan coloured button nose. He has a dark brown bushy mane with hints of rainbow coloured fur mixed in. The same coloured furry material is on the tip of his tail. He has a glittery gold horn on top of his head. Ramsey was released in June 2018. His Birthday is on 16th August. 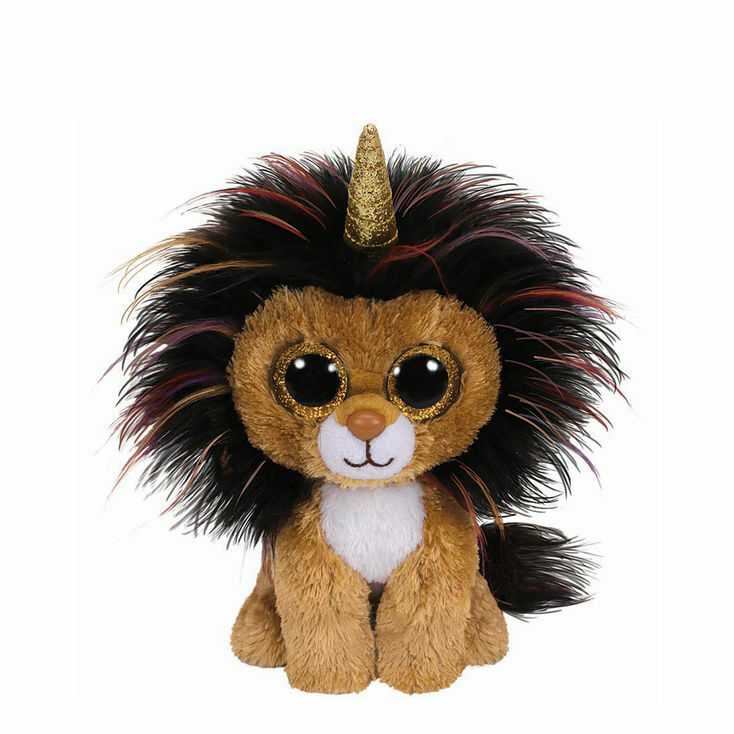 He is one of the first three Beanie Boos that have a unicorn horn but are not a unicorn. The other two are Heather the Unicorn Cat and Enchanted the Unicorn Owl.